Learning about the Days of Creation helps children build a strong foundation in a biblical worldview that they will carry with them for the rest of their lives. Even the youngest children can understand that God is the ultimate creator of everything. Our resources can help you teach these important biblical truths. Looking for more? 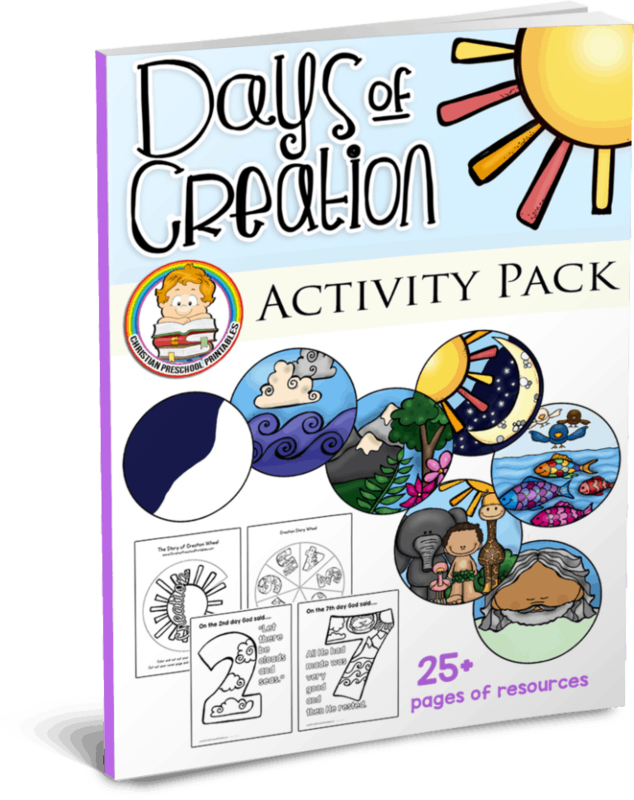 Try our FREE Days of Creation Activity Pack when you subscribe to our newsletter. 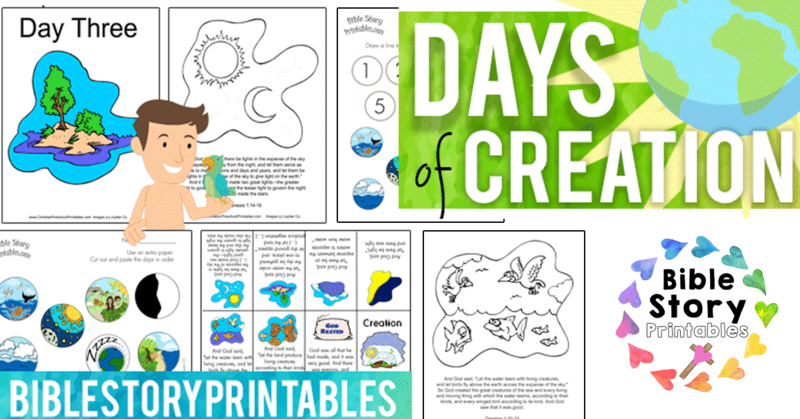 Inside you’ll find over 25 pages of crafts, games and activities you can use to teach your children the seven days of creation. This is a Bible story board set for the days of Creation. Each will print out full size to make large pictures for you to use when teaching about the story of God's Creation. Print on Cardstock and Laminate for best results. 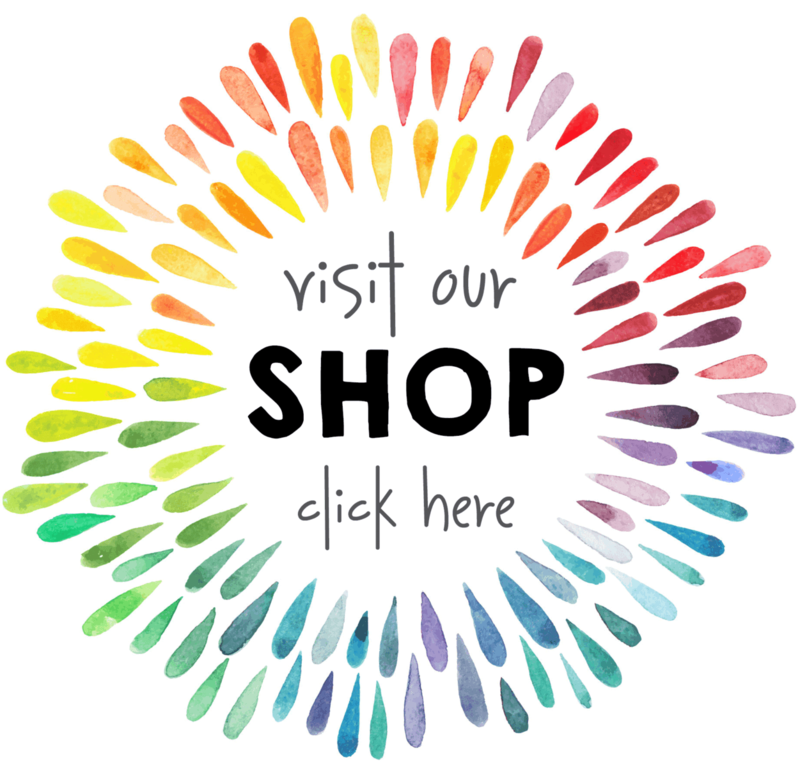 Color your way through the Days of Creation! We've got a full set of Creation Coloring pages you can use to help children learn and retell the days of creation! This is a bible story minibook for the days of Creation. The text from Genesis 1 is written and paraphrased to explain the different days. You can also print up a blank version if you'd like your child to fill in the information. 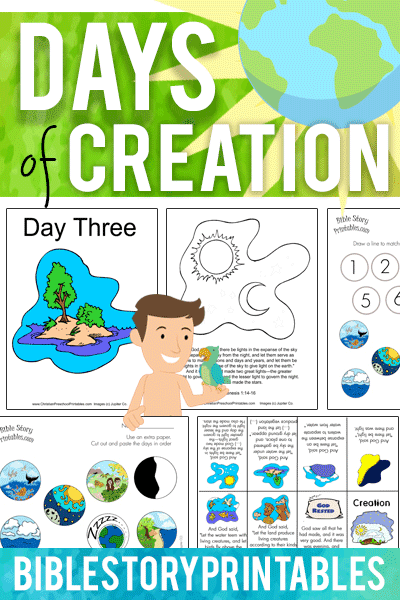 This is a set of bible worksheets for learning about the days of creation. The first worksheet, children draw a line to match up the number with the picture. The second worksheet, children cut out the pictures and glue them in order to a seperate piece of paper. This is a complete set for the entire chapter first chapter in Genesis, going through all of the days of creation. If your children are learning about the creation and are ready to begin early cursive handwriting skills, check out these fantastic bible copywork sheets. 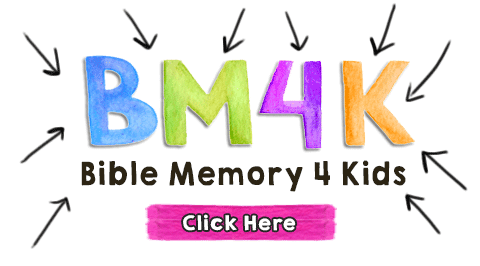 There are also blank versions for children who are not quite ready for cursive, or who want to write the verse on their own without the tracer font. Blank Notebooking pages featuring each of the days of creation. Scripture notations and prompts are provided. These timeline cards are perfect for placing the days of creation in proper order. There are 7 different cards, each with a picture of what was created that day. Children can copy Genesis 1 directly from the Bible using these free Bible copywork and notebooking pages. These are resources for teaching children from the book of Genesis Chapter 1.